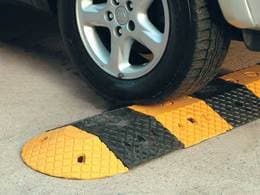 View our speed bumps, speed humps and speed ramps. Trying to get council permission to drop a kerb is a tedious task and can cost a lot of money to do. Kerb ramps are a much better solution for accessibility than having to get the council and contractors to drop a kerb, and they will save you a good amount of money and time in the long-run. So why not spend just a few minutes placing the kerb ramps where you need them, and then packing them up and storing them when you are done. 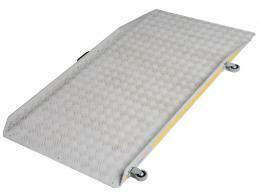 Kerb ramps are also a great solution for motorhome and caravan owners and make manoeuvring a lot easier. Kerb ramps from The Workplace Depot have been made from plastic or recycled rubber, making them extremely durable and strong. Our kerb ramps are also portable with built in handles and allow vehicles to ride over obstacles such as cables as well as kerbs. They are easy to transport when you need to move them around and can help vehicles mount kerbs as high as 100mm. 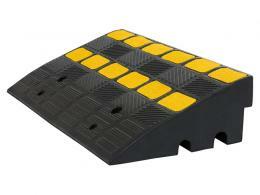 In addition, our kerb ramps can be linked together for larger wheels and do not require installation. You can purchase kerb ramps as a single or double unit, with any size vehicle able to drive over them. 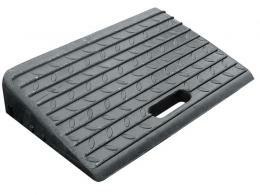 If you’re looking for something more lightweight, the Plastic Kerb Ramp is great for foot traffic and bikes. The surface is non-slip and is raised for secure access. Having these kerb ramps will ensure the safety of pedestrians, bicycles, and wheelchairs. 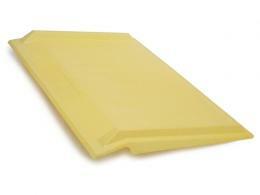 Construction of this kerb ramp product is derived from high density polyethylene and is 100 percent recyclable. The Workplace Depot offers free delivery on all orders. All of our kerb ramp products are manufactured to the highest standards. Order your kerb ramp today for free next day delivery and a one-year warranty on parts and labour. We accept all major credit cards and offer an easy exchange/returns policy.